Quality and service is at the heart of everything we do at Neighborhood Garage Door Service. When you buy a new garage door or accessories from us, you know that it has already passed several rounds of quality control. We also display a customer-focused attitude in everything we do. Our service technicians enjoy the satisfaction of solving complex problems for customers and will do whatever is required to do the job correctly the first time. 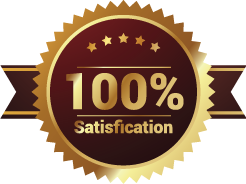 When it comes right down to it, customer satisfaction is the only thing that matters at our company. We know what it’s like to feel like a service provider doesn’t respect your time. They give you a large window of time when they might show up and you’re expected to just sit and wait for them. 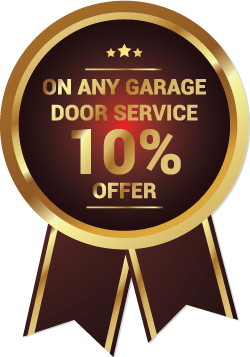 Neighborhood Garage Door Service knows that you have better things to do. When you call us for garage door repair or installation, you won’t wait long at all. In fact, we dispatch a technician almost as soon as we get off the phone with you. We are also happy to answer any question you have about our work. Having years of experience means that we can complete any job in a prompt and efficient manner. We know what we are doing and we do it well. The way in which we complete our work is just one more way that we show respect for your time. Even so, quality always comes first. If the work on your garage door does end up taking longer than expected, we always provide a reason. Our company believes in personal accountability and keeping the lines of communication open at all times with people who entrust us with their business. In many homes and businesses, the garage is the main or only way to get inside. That is why you can’t afford for it to be non-functional for long. If the garage door is stuck in the open position, it leaves you wide open to theft, vandalism, and other serious problems. These examples are the very reason that we chose to be a 24-hour operation. Some things truly can’t wait. Whether we installed your garage door or not, we are always available to provide routine inspections and maintenance. We find this is the best way to prevent safety threats and other emergency situations. Investing a small amount of money in regular inspections saves you money and aggravation down the line. It also means you won’t be put in a position where you are tempted to repair your own garage door without having the training required to do so. Our journeymen are committed to ongoing industry training. This ensures that you receive the best possible service and that we take advantage of the latest tools and techniques available to us. This is in addition to their years of experience and completion of a post-secondary education program in garage door repair and installation. No matter which specific service you need, you can depend on these highly skilled individuals for immediate professional service. It’s not by accident that we have become the leading garage door service provider in this area. It has only been through a lot of hard work and unfailing dedication to exceeding the expectations of our customer. Any situation with a garage door can quickly become an emergency, such as a stuck door or a lifting mechanism that quit working. We leave it up to you to determine if your situation is urgent or not. Whenever you need immediate help, we are here to provide it. 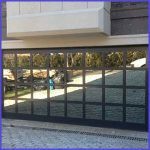 That includes weekends, holidays, and late nights when many other emergency garage door repair companies in Bellmore, NY are not available. We mean it when we say that you can call us at any time and expect an immediate response. Because anything can happen in this line of work, we come to every job expecting the unexpected. Our vehicles are permanently stocked with any type of part you might need to get your garage door operating again. We also carry other gadgets you might be interested in, such a keypad entry system for your garage. 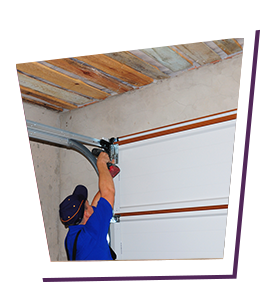 The skilled technicians at Neighborhood Garage Door Service are able to complete the majority of jobs without having to leave or return. If this does happen, we will explain why and let you know all of your options.